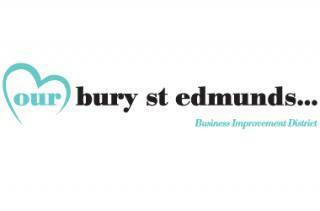 Sports enthusiasts and those who would like to start a new activity should lace up their trainers for the Our Bury St Edmunds Festival of Sport next month. The ten-day annual event starts with a Sports Aid charity lunch with an Olympic Gold Medallist and finishes with the town’s marathon and half-marathon. As with last year’s event the Festival, which runs from October 19-28, is extending its boundaries to include the villages around Bury St Edmunds and there’s still time for sports clubs to register their interest and have activities listed on the Festival’s website at no cost. It will focus on local sports clubs or groups and include free taster sessions for people looking to try a new activity. The event has previously helped Bury to win Suffolk’s Most Active Town award. Among the highlights of this year’s Festival of Sport is the HaverSports St Eds Running Festival which offers races over 10k, half-marathon and marathon distance. Charter Square will be the focus for many taster sessions during the week and will also host an evening 5k fun run around the town. For the armchair fan a Sports Aid Lunch takes place at the Athenaeum with the guest speaker Lizzy Yarnold a double gold medallist skeleton racer at the Winter Olympics.